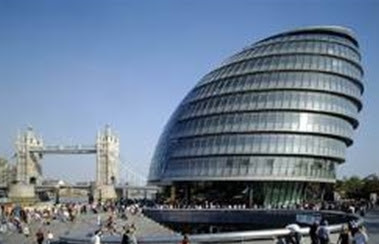 On Tuesday 24 April 2012 we as cyclists will get a chance to question candidates standing for the London Assembly on their policies for cycling and other forms of sustainable transport in the borough at our joint election ‘hustings’ meeting for all candidates standing for the Lambeth and Southwark London Assembly seat. Come along and have your say. The location of the meeting is no mistake - it is on the border of the two boroughs and crucially is between the Waterloo and Elephant and Castle junctions - both highlighted in the TfL top 10 worst London junctions. It is also located near to the A23 which is Lambeth and Southwark's busiest cycle route in terms of volume of bikes. We as the two borough LCC groups have been holding these events since the creation of the post of Mayor and the London Assembly in 2000 - the equivalent event in 2008 almost resulted in a fight breaking out in the audience as feelings ran high over the plans for Herne Hill Junction. In 2012 we have different but equally contentious issues to debate: junctions such as Oval, Elephant and Castle, Waterloo, Vauxhall Cross, Oval and Stockwell which are deeply cycle-unfriendly, extension of the cycle hire scheme, the Bricklayers Arms flyover etc etc etc. Of course overriding all this is the central LCC campaign of London Going Dutch. The event will be a chance to show the politicians the feelings of cyclists on the ground and give an ideas of the cyclists' vote: cyclists in the two boroughs can really influence the result! so should be able to have a fruitful discussion. The London Assembly hustings meeting will be held on Tuesday 24 April 2012 7:15pm for 7:30 start.